It is time to take a closer look at Frankincense as there is a lot of talk about the healing properties of this underappreciated aromatic resin. There seems to be a lot of buzz about using frankincense for curing some cancers and other health issues. 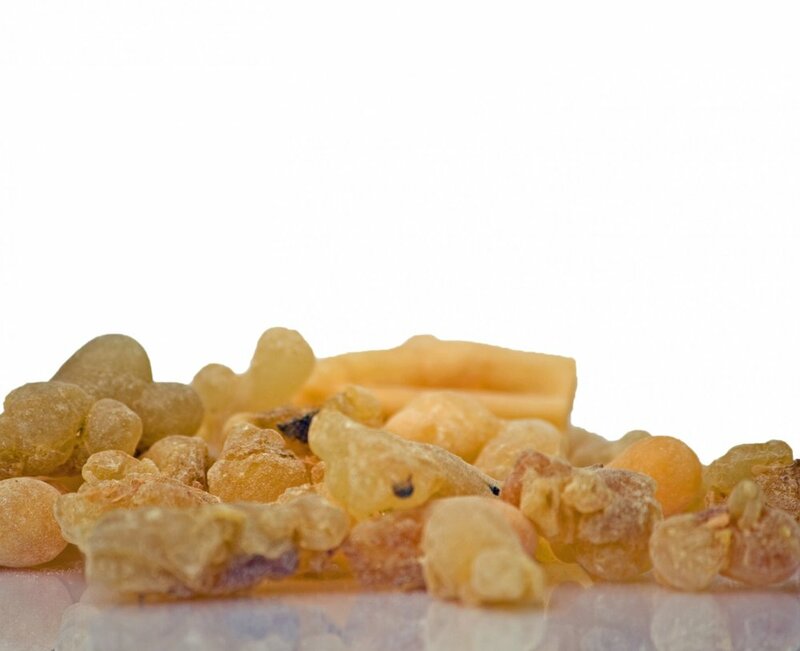 Frankincense is a resin that is very potent, so it is not used internally. It is used medicinally externally in topical applications for abscesses, carbuncles, as a liniment for rheumatic pain, to draw infection from septic sores and to relieve pain. In Chinese medicine, frankincense enters the heart and lung meridians. It promotes blood circulation and qi movement. And is especially effective for conditions where the joints and muscles are very stiff, swollen and painful. Burning frankincense as incense or as frankincense oil for aromatherapy is good for meditation and to clear and calm the mind. Frankincense is anti-inflammatory, antiseptic, anti-depressant, stimulates new cell growth, helps prevent wrinkles and heals wounds. This herb has a counter-effect on aging, is expectorant, treat coughs and colds, is a gastric tonic, decongestant and good for bronchial and asthma problems. Frankincense essential oil has a fresh, woody, balsamic, slightly spicy and fruity scent and is used for elevating spirit and soul, psychic awareness, deeply buried secrets and for relaxing for nervous tension. A great way to use frankincense is as a roll-on with a carrier oil (like fractionated coconut oil). You can make your own blend or buy a roll-on blend at your local natural products store. That way you have it in your purse when you need it. Check out the benefits of frankincense oil and see if it is something you need to add to your life. Asparatame came up in conversation for me again recently when a family member experienced yet another massive migraine. I asked her to think back to what she had been consuming in the days before because I sensed something in her diet had to be triggering her migraines. Thinking through what she had been eating, she couldn’t pinpoint anything and it wasn’t until a week later when I received a text stating that she just realized that the Fresca soft drinks that she was consuming contained Aspartame.She had never read the label. how to heal your body, mind and spirit? Join us every Sunday night for Healing Life Wisdom Radio. It’s so easy to listen from your computer! Interesting and empowering interviews, round-table discussions, live call-in questions from listeners. Click here to learn more! This book the the fourth in a series of books by Anthony William. His first book is the “Medical Medium”, the second is “LIfe Changing Foods”, the third book is “Thyroid Healing” and the most recent book is titled “Liver Rescue”. All of his books are founts of healing information from his connection to spiritual information he receives as the medical medium. After reading his first three books, I am so amazed at the insights he offers on food as medicine on so many levels of healing and understanding the mystery diseases of today. All his books are a must-read but his most recent book “Liver Rescue” offers such an in-depth level of information about our livers and how much an unhealthy liver affects the entire body’s health. 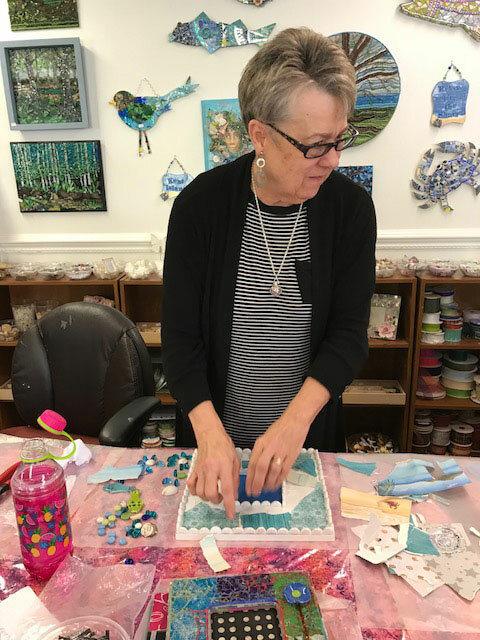 Do you want to learn more about..
We have the best selection of embellishments on the Eastern Shore or maybe even in Maryland! 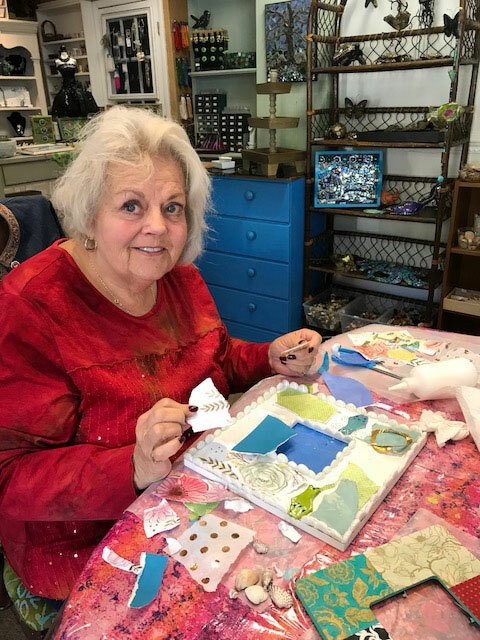 We love embellishments... you can use them in mixed media projects, collage, mosaics, art quilts, clay art, jewelry art, school projects and for fashion, etc, etc, etc. Drop by and check out the metal charms, resin flowers, leaves and iridescent resin cabochons, tiny laser cut wood thingamajigs, wood, plastic, resin and cork alphabet letters, glass cabochons, porcelain flowers, pieces for assemblage and watch parts, mosaic tiles in ceramic & glass, rhinestones, feathers, google eyes, buttons and so much more. Yes, we have new tiles and they are exquisite, gorgeous, alluring, spectacular, inspiring, wonderful, splendid, awesome, stunning and amazing. Stop by and check out the wonderful new colors and designs.